When I was younger, I remember hearing someone jokingly say that New South Wales stood for Newcastle, Sydney and Woolongong. Meaning that nothing interesting existed on the western side of the Great Dividing Range. But I’m here to tell you that this is far from the truth. As we recently discovered, small country towns like Coonamble near Dubbo in NSW have so much to offer. They really do make for a truly unique holiday experience. 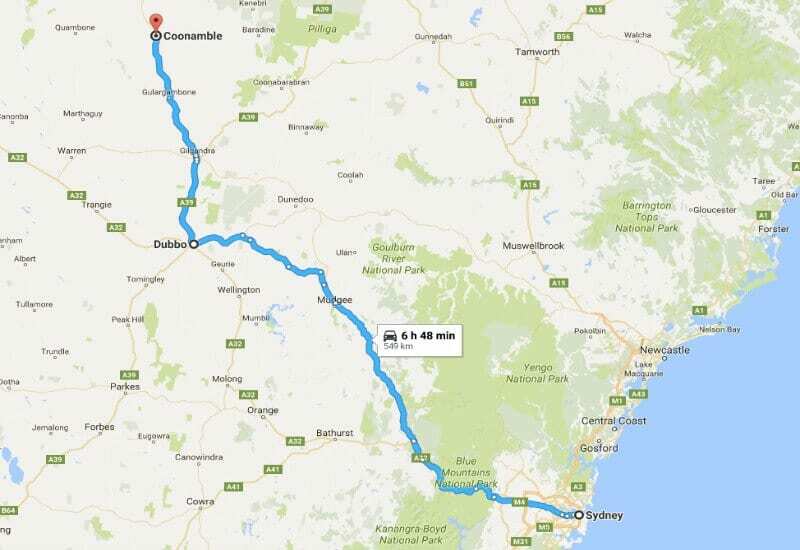 Coonamble (pronounced Coo-nam-bull) is located on the Castlereagh Highway half way between Dubbo and Lightning Ridge. The ‘dry’ Castlereagh River divides the town in half. This river rarely has water flowing in it, but interestingly, there is plenty of water to be found underneath the river bed. Coonamble is a small town with a population of fewer than 3,000 people. It features wide streets, old buildings and that slower pace of life synonymous with rural Australia. The Nickname Hall of Fame is a quirky way to celebrate the characters who live or have lived in Coonamble. Take a walk along the main street and you will find about a dozen caricature portraits. Each portrait expresses the particular traits and personality that each person was known for. You can ‘meet’ local characters like Tumbler, Ghost, Icey, Vanderbilt, Darla and Bricky. As nicknames are a very personal thing, it is not always known how people acquire their nicknames. At least for the folks of Coonamble, this is no longer a mystery. The Nickname Hall of Fame is a uniquely Australian way to celebrate the characters of Coonamble. Just off the main street of Coonamble, you will find the Museum Under the Bridge. The building was formerly the Police barracks and comes complete with the original Police stables. Many of the displays will take you back in time to the beginnings of Policing in the area. Built in 1886, the Museum Under the Bridge has an excellent collection of memorabilia. Items on display include the dock from the old Coonamble Courthouse, household goods, photographs, clothing, and descriptions of the history of the area. Run by a small band of dedicated volunteers, the museum is open to the public Monday, Wednesday, and Friday from 10am to 12 midday. The museum can be open at other times by request. Entry will cost you a gold coin donation. The former Police stables at The Museum Under the Bridge tell the story of Policing in the 1800’s. Nakadoo is a working farm just two kilometres from Coonamble and it’s where we stayed during our visit. A labour of love for owners Karren and husband Naka, this unique property is available for campers and caravanners to stay free of charge. If you aren’t a camper or caravanner you are still welcome to come and visit Nakadoo. Also at Nakadoo, you will find ‘The Shed’ which is a fantastic museum, dedicated to rural life. Included in the display are shearing implements, farm equipment, a wall and windows from a nearby farmhouse that was to be demolished and plenty of memorabilia from the rodeo circuit of which Naka is heavily involved in. Karren’s knowledge of the history of the area and her passion for Coonamble is obvious as she leads you through the museum. Afterward, you can enjoy a cuppa and maybe even some fresh damper. Naka and Karren also run horse-drawn wagon tours of the area. As these tours are seasonal, bookings are required to ensure that a team of horses will be available. Naka’s horses are beautiful. I felt very privileged to meet ‘Lucky’ who is an enormous Shire draft horse who frequently pulls the Nakadoo wagon. 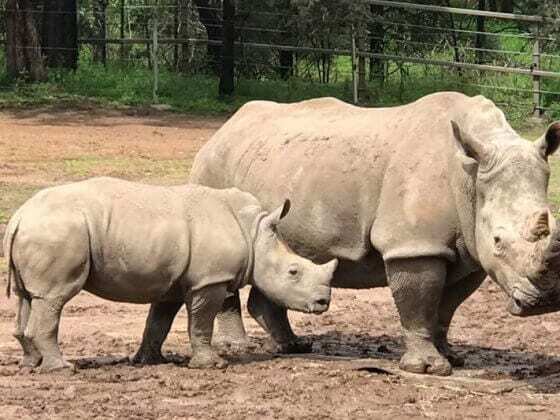 For the kids, Nakadoo’s farm yard has animals galore. Guinea pigs, rabbits, chooks, geese, goats, and llamas all live in happy harmony. ‘Lucky’ is a beautiful Shire drafthorse who calls Nakadoo at Coonamble home. 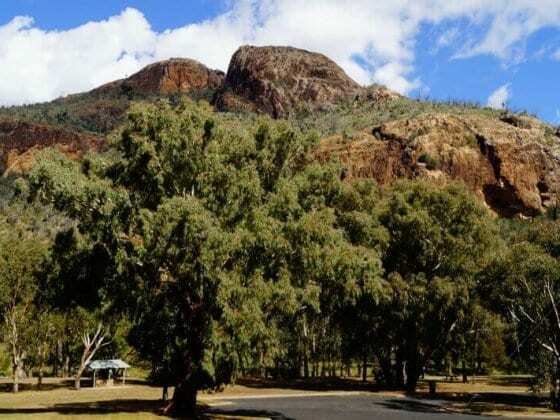 A vast area of National Park and State Forest located between Narrabri in the north and Coonabarabran in the South, the Pilliga covers an area of about 3,000 square kilometres. The Pilliga is an area of great biodiversity and is home to around 300 native animal species and over 900 plant species. With its scrubby woodlands, vivid orange soils and rocky outcrops, the scenery is truly unique. To access most parts of The Pilliga you will have to drive on rough, sandy and corrugated roads. Many of these roads become impassable in wet weather. At all times, use caution when driving in this area. Before you venture into the Pilliga, I highly recommend visiting the Pilliga Forest Discovery Centre. Located in the tiny village of Baradine, the very knowledgeable staff will provide you with all the information you need to know before you head out into the Pilliga itself. It also houses a very interesting, interactive display of the flora, fauna and Aboriginal Cultural Heritage of the area. Also in Baradine, you will find the lovely Freckles Coffee Spot. Here you can enjoy some morning tea or lunch in Baradine’s former Embassy Theatre. If you are looking for accommodation, Camp Cypress has plenty to offer ranging from cabins to campsites. The Pilliga Forest Discovery Centre has lots of information available for your adventure into the forest. In my opinion, Sculptures in the Scrub should be your number one reason for visiting the Pilliga region. 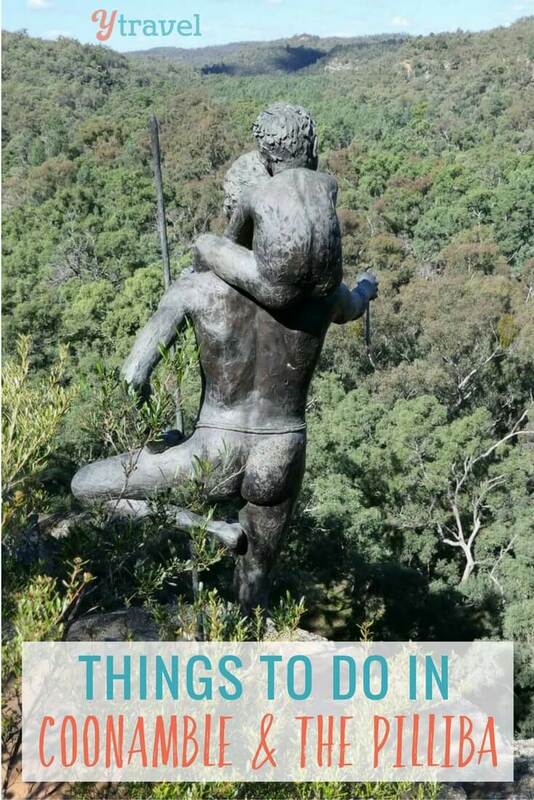 Located in the Timmallallie National Park section of the Pilliga, about 40 kilometres east of Baradine, this group of five sculptures scattered along a 1.2 kilometre long walking trail will take your breath away. Inspired by the Aboriginal cultural heritage of the area, they sit high upon the Dandry Gorge, which is a place of special significance for the Gamilaroi people. The views are spectacular from the rugged, rocky outcrops of the cliff face high on the other side, to the peaceful serenity of the valley below. This is a truly special place. The return walk is about 3-kilometres long. At the start of the track, there is quite a steep incline of steps. A reasonably good level of fitness is required as this track is rated medium difficulty. These beautiful mosaic pieces are called ‘Respect Mother’ and are by artist Pamela Denise. Tucked away on the eastern side of the Pilliga Forest you will find the beautiful Barkala Farmstay. Barkala is also the home of Pilliga Pottery. As soon as I walked into the courtyard area I felt myself relax. The courtyard has an almost Mediterranean feel to it, with its dolphin fountain, shady trees and terracotta hues. The pottery itself is breath-taking in its beauty. Much of it features the tiny blue wrens which can be seen flitting around the farm. The colours are so vivid and the attention to detail is evident in each piece. Be prepared to pay a hefty price though if you want to take a piece home with you. However, the onsite Blue Wren Bush Cafe was nowhere near as expensive and we enjoyed a coffee and delicious homemade Apple Crumble with fresh cream for a mere $12.50. If you would like to stay awhile at Barkala there are several accommodation options available. These include lodge accommodation, guest houses, and a campground. There is also a beautiful swimming pool available for guests to use in the warmer months. Tasty treats await you at the Blue Wren Bush Cafe at Pilliga Pottery. We loved our time in the Coonamble and Pilliga region. I would suggest allowing at least a week to enjoy all there is to see and do. April or May are ideal times of the year to visit, as the days were warm and sunny, with just a hint of a chill at night time. Did we miss anything? Can you add any other tips on things to do in Coonamble or the Pilliga? Thanks to our sponsor Dubbo Regional Council for making this post possible! Melissa and Brenden have been travelling together for over 20 years and have no intention of stopping anytime soon. 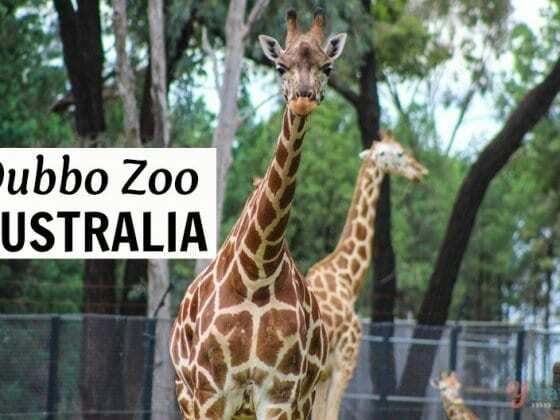 They are passionate about Australia and want to encourage everyone to explore this beautiful country. You can follow their adventures on their blog at All Around Oz and on Instagram. What a great area. We plan t head north in the Sept holidays and I’ll keep these towns on the list to do. Coonamble sounds a classic place. There are a few walking tracks in The Pilliga that you would love Jane. Very unusual area to explore. There are some awesome walking tracks in The Pilliga to explore. Very different to anywhere else in Australia. You would love all the walking trails in The Pilliga. Such a cool place! My home town and it sounds like you have it well covered. Next time add in the wonderful Macquarie Marshes out from Quambone. We did take a drive out to Macquarie Marshes but as the area has had no rain for some time they were bone dry and there were hardly any birds around. Hopefully they will get some rain soon so as the birdlife can return. Coonamble and Pilliga region just amazing! I am going to add all the places in my bucket list. Great Read & Information. Glad you enjoyed it Nitin….I hope you get to visit one day. What a wonderful post. Its great to see people going “off the beaten track” to places that aren’t such tourist traps – it seems like you’ve had a really authentic experience! This is terrific, I don’t know this part of NSW at all, haven’t been beyond Dubbo itself… this is a terrific guide. I’ll add it to my MeetEdgar library to share with Facebook followers. And start to plan a visit!